Olivia owns three guinea pigs. She went through the struggle of a first-time cavy parent and wants to help fellow cavy parents. Are Guinea Pigs Right for Me? Guinea pigs are wonderful and curious little creatures. However, most people don't understand the responsibility that comes with adopting guinea pigs. There's a lot more to it than just feeding them and giving water and changing the bedding. They can actually live up to ten years old. Guinea pigs also have many behaviors that first-time owners aren't accustomed to, and care can be more complex depending on what you want out of your guinea pig. Many want friendly guinea pigs that are tamed and well socialized. To get there takes more work and patients than people are prepared for. For starters, if you are thinking of adopting a guinea pig for the first time, be prepared to adopt two. Guinea pigs are very social creatures and require their own kind to interact with. A guinea pig that is by itself for too long may become depressed and lonely or aggressive. For two guinea pigs to be fed, have fresh water, and have fresh bedding in their cage takes quite a bit of work and money. You must be prepared to have weekly cleanouts of your guinea pigs' cage and daily spot cleaning while keeping their bedding in stock. 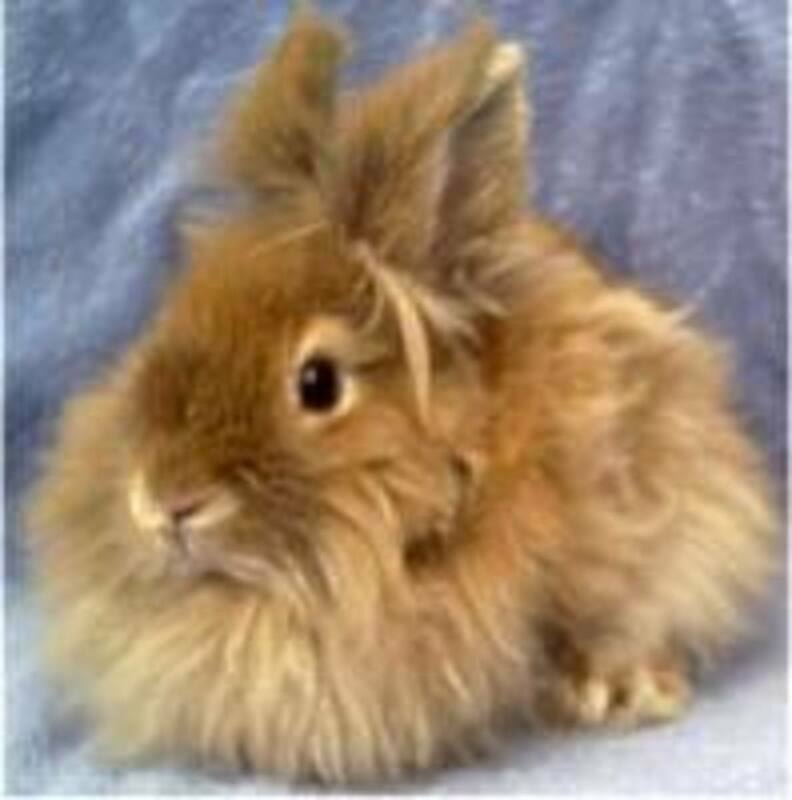 Their diet is quite complex, fruit, herbs, veggies, plus the essentials of hay and pellets. They need refills of hay daily and fresh vegetables daily. You have to be willing to put your guinea pigs into your routine. Then there's the added task of taming your guinea pig which takes some extra patients. Also, throw in the occasional vet visit and nail clipping...you can see why we guinea pig owners like to call to call ourselves the Cavy Slaves. That's basically what we are, we tend to their every need. But in the end, they're so worth it. Why Is My Guinea Pig so Afraid? It is important to remember that guinea pigs are prey animals. Which means to them you look like a big scary monster that is going to eat them. Who wouldn't be scared of that? This fear will always be in the back of their minds but there are ways to grow trust. With my guinea pigs, I have a nine-year-old guinea pig named Bella. Bella was very tame from the very beginning, she let everyone pet her and always came running to me when I would walk over to their enclosure. So when I got my little baby guinea pigs, Cleo and Nugget, Bella really helped build that trust. When they saw Bella keep running to me, they became curious. Soon Cleo and Nugget realized when I come to the cage, that means food. This is a taming tactic. Guinea pigs love veggies. It's like candy to them. So to decrease the fear of you in their brains a great tactic is positive reinforcement. Every time you walk over to their enclosure, bring some lettuce with you or some cucumber to make your presence a positive situation. It takes some patients, however, because if you don't have a tamed guinea pig like me, that comes running right away, they might not understand that you have food. It's important to remember not to chase them around with the food. You want to decrease and have the least amount of stress with each interaction. Let them come to you, and if you don't think they know you have a treat, take a piece off and toss it in their direction. Once they recognize you have food they will become curious. Sudden movements will freak them out. They will come very slowly, let them take their time. Don't try to inch the food forward because they will retreat. If you have to, let them take it from your hand and run. Eventually, they will eat it from your hand and slowly they will recognize when you come to visit with them. What Do I Feed My Guinea Pigs? A guinea pig's diet is more complex than you may think. Believe it or not, pellets are not the most important part of their diet. Guinea pig's teeth are constantly growing. To keep them from overgrowing they eat hay, making hay a vital part of their diet. They constantly need it. I never leave my guinea pigs without hay. There are different types of hay, make sure it's the Timothy Hay. 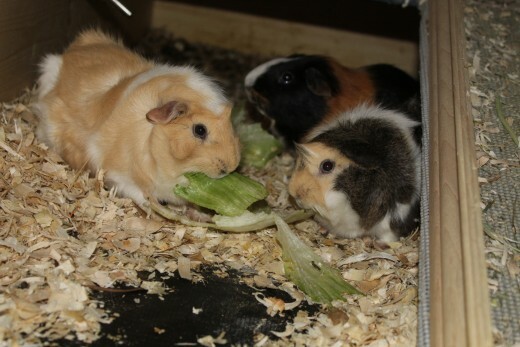 There are many different types of timothy hay, for my guinea pigs they like the most a blend of the Western Timothy hay and the Orchard Grass. But since there are so many, try the different kinds and combinations to find what your guinea pigs like best. Aside from hay and pellets, your guinea pigs will always need access to fresh water. Do not use a bowl for water, use a nondrip waterbottle. Those are the essentials. You will also need to feed them a variety of fresh fruits, vegetables, and herbs. Vegetables most of all. You will need to watch what you feed them, how often you feed them and how much you feed them. Most fruits have very high sugars for guinea pigs and should be fed on a rare occasion for a very special treat. Some herbs have very high calcium, where too much can lead to bladder stones and other issues. With these herbs, you will either want to avoid altogether or feed in very little amounts, very occasionally. Guinea Pig food list - food they can eat and food they should not. We provide an detailed list of food your Guinea Pigs really like and also a blacklist which food should not be provided to build up a proper diet. Where Do I House My Guinea Pigs? 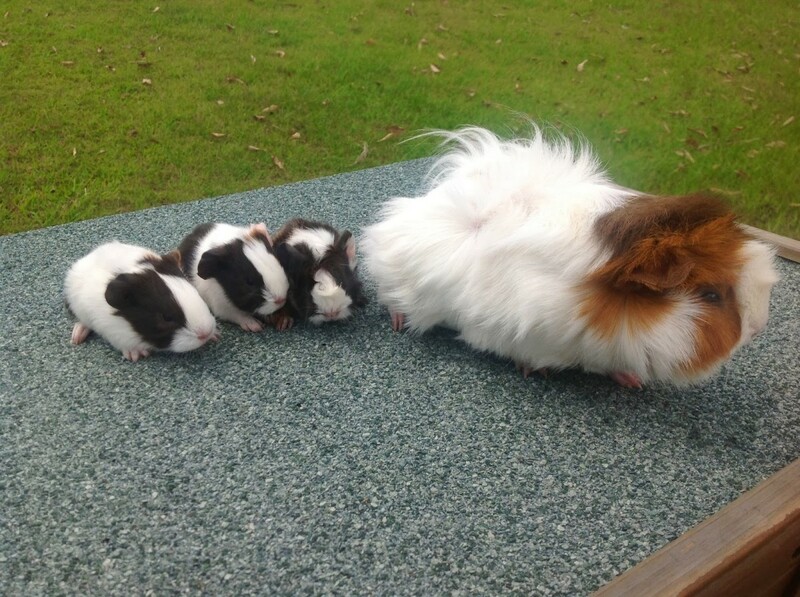 Imagine this: you go to your local pet store to buy your very first guinea pig. You observe the guinea pigs in their enclosure. Once deciding on which one you want to take home, you go and gather all the supplies you'll need for owning a guinea pig. A cage, food, hay, water bottle, and bedding. Then you take your lovable pet home. There were two major mistakes in that scenario. First off, guinea pigs are very social creatures. They need to live in at least pairs of two. This being said, those pet store cages are never going to be enough space for two guinea pigs. They are rarely enough for even one guinea pig. Guinea pigs need space to run around and play or sometimes to just have their own space away from other guinea pigs. So instead of store cages, try to build your own cage before going out and adopting your guinea pigs. An easy way to do this is to build a C&C cage. This stands for cubes and chloroplast cage. It's made out of wire mesh bookcase that you can reform to make the outside of your cage and then the chloroplast makes the inside where the guinea pigs walk on. You can get as creative as you want. I originally had a C&C cage but then took on the challenge to build a wooden cage, which gives a bit more space but also gets more pricey. When you build your own cages, it gives the appropriate amount of space as well as adding a personal touch to your guinea pig's home. The C&C cage also usually saves you money for the amount of space you're able to give your guinea pig. Great Article! I have had many guinea pigs over the years. I have one now named Ivy. Most of the guinea pigs I have I acquired from people who did not realize what all was involved in keeping them. It's sad that people don't research before they get pets. Same thing goes with rabbits I think. A very informative article. Well done for your first.